This is a beautiful lofted unit with ocean views. 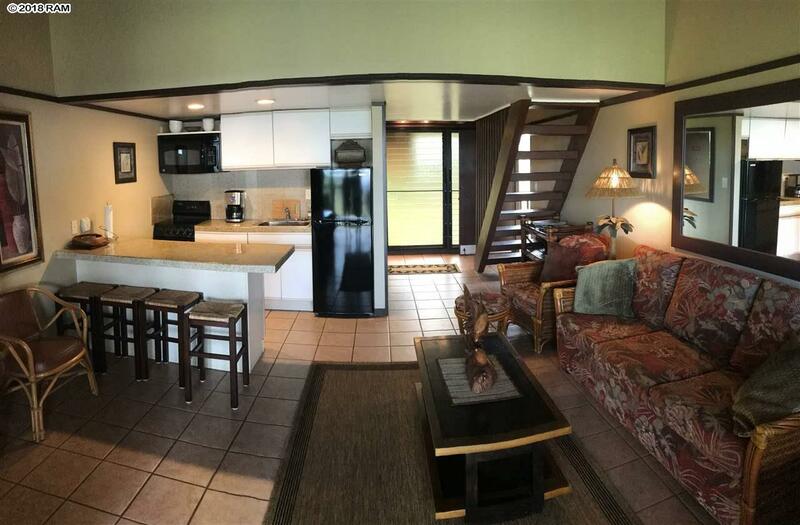 Tastefully remodeled with tropical inspired features. 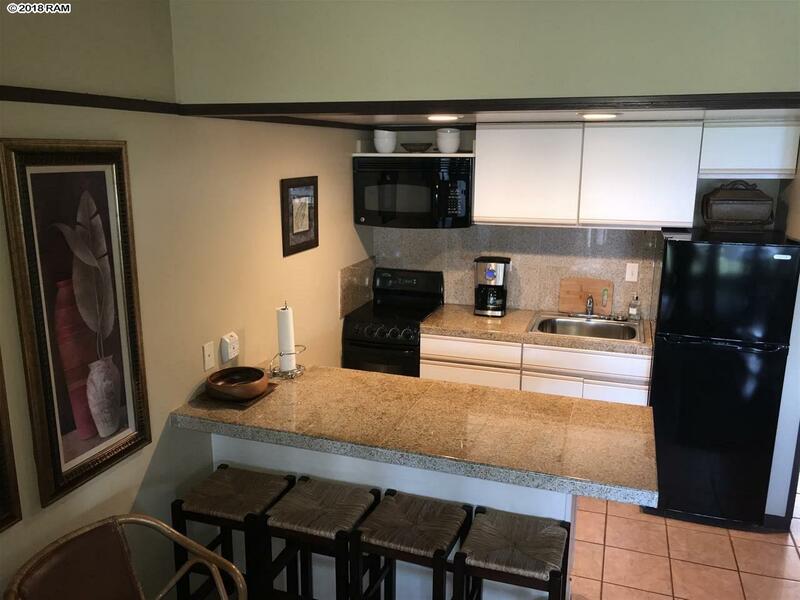 Ceramic tile floors throughout including the loft, granite counter tops in the kitchen, tiled shower with sliding glass doors. A wide staircase that leads you to the lofted master bedroom with its own mounted flat screen TV and California king bed. 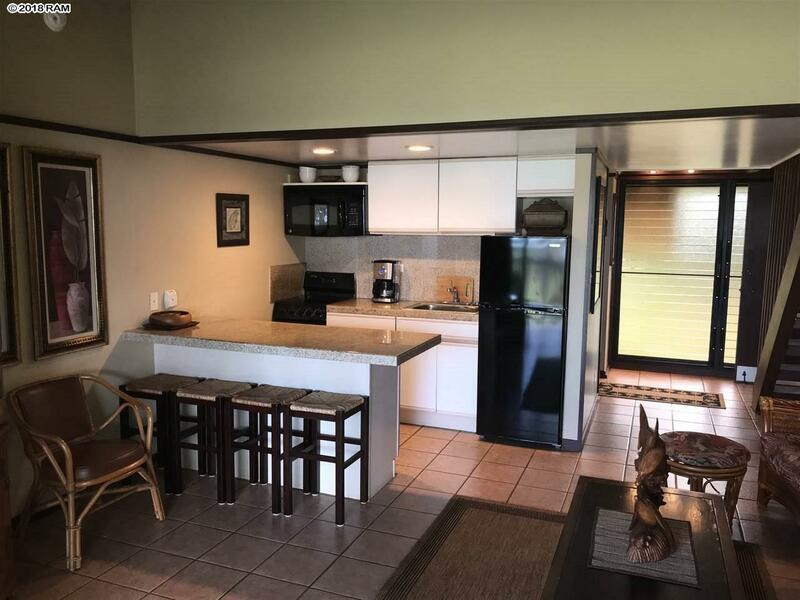 Enjoy Island living at it's finest on it's open lanai that over looks the manicured grounds and beautiful Pacific Ocean. 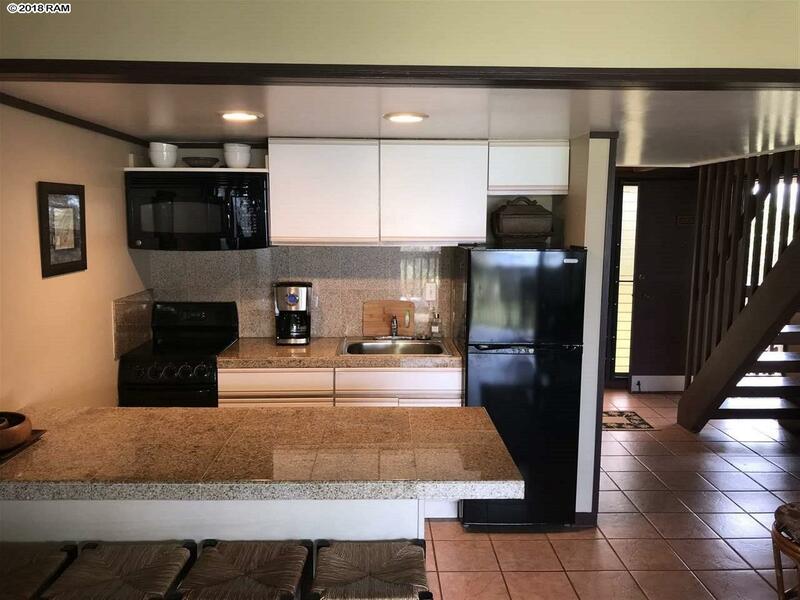 This condo has a very good ongoing rental income and comes with a 1992 Jeep Cherokee. Please contact us for more details.